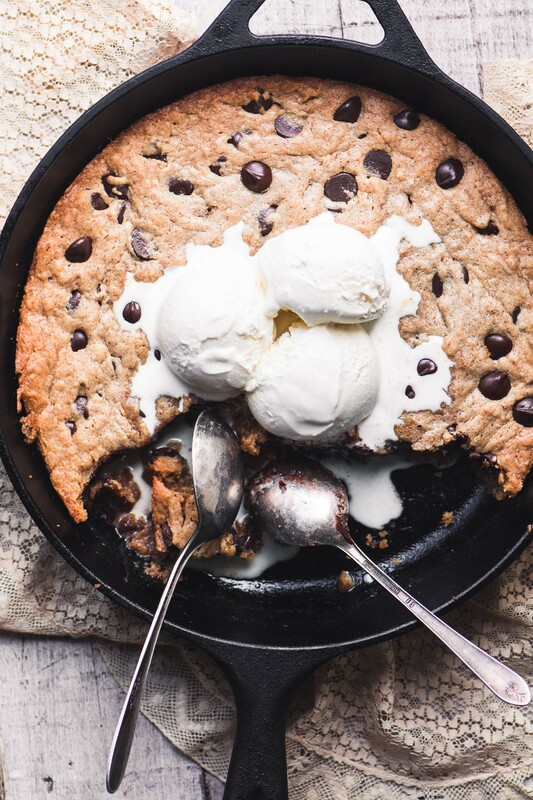 These Almond Butter Skillet Blondies are an easy one bowl skillet dessert that makes a quick treat for the family, the perfect end to a romantic evening, or maybe both! Every so often I make a recipe that is so tempting to me that I can’t even make it through a full photo shoot. My will power fails me because I know that every click of the camera’s shutter is taking me one step further from that perfectly warm, oozy almond butter blondie fresh from the oven. The cast iron skillet helps retain that warmth, but it won’t last forever, and so eventually I put up the white flag. I mean, I love to photograph food, but let’s get real, I’m an eater first, and a blogger second. And that’s a distant second, btw. This is a great choice for when you feel like indulging yourself, or yourself and a significant other, on whim. 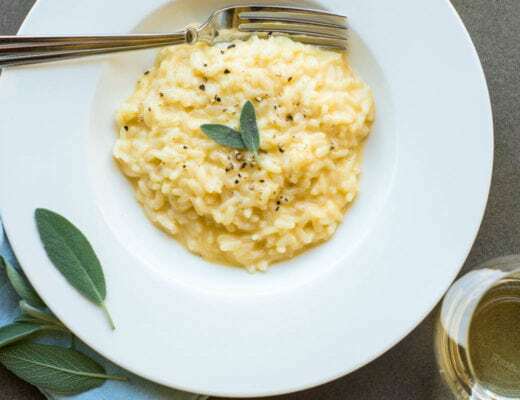 It takes just one bowl and a few minutes to whip up, no softening butter, no creaming anything, just a quick whisk and you’re ready to spread it in your skillet and pop it in the oven. And since these almond butter skillet blondies are meant to be eaten warm from the oven this is pretty much the poster child for instant dessert gratification. I had meant to bake these blondies in a square pan and slice them up the traditional way, but when I went into my cupboard I realized both of my square baking pans were missing ~ they got sucked up into the Bermuda Triangle of holiday parties…never to be seen again. Sheesh. But everything turned out ok because I think the skillet makes this dish so much more fun to eat. And it kinda gives you permission to dig right in with a spoon, which is a good thing. But, if you’re more the straight laced type, The blondies can be cooled and sliced like pie, too, it’s up to you. 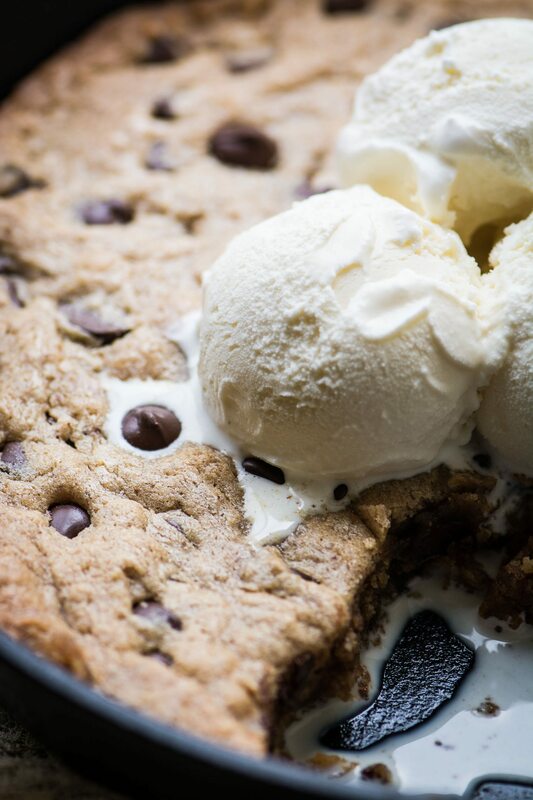 TIP: Do not over bake this dessert or you will get a crunchy cookie in a skillet, not what we’re going for. 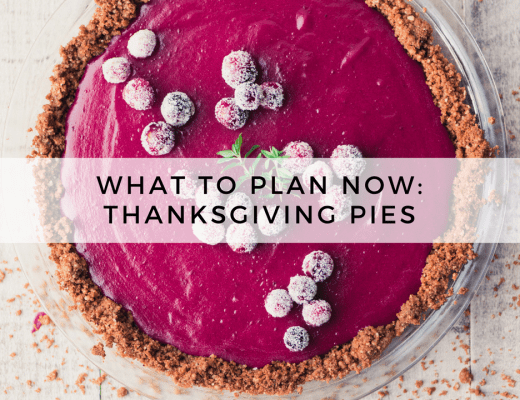 If you like, you can even bake it for 5 – 10 minutes less than the stated time, for an extra gooey experience. Make sure your oven temperature is accurate, a few degrees one way or another can make a difference! Almond butter is peanut butter’s sophisticated cousin, and gives these blondies a rich but subtle flavor. I love Justin’s almond butter, (other good brands are Barney Butter and Jiff, and Trader Joe’s makes a good one) but almond butter can be expensive. You can make any type of nut butter yourself, though, and that comes in super handy if you get a craving for these almond butter skillet blondies but happen to be out of that key ingredient! TO MAKE HOMEMADE ALL NATURAL ALMOND BUTTER ~ simply roast raw almonds on a sheet pan for 15 minutes in a 350F oven, then let cool. Process the nuts in a high speed blender like Vitamix, or a good food processor, until they turn into a smooth butter. Depending on your machine, this can take anywhere from a minute to several minutes. Add a pinch of salt for flavor. If you want to use raw almonds, you may need to add a little vegetable oil to help speed the process. stage 1: the nuts will turn into a ground flour. stage 2: the flour will turn to a thick rough paste. stage 3: the natural oils will release and the thick paste will turn into a smooth nut butter. The longer you blend, the creamier it will become. When it’s finished the nut butter will actually be warm ~ and amazing! Almond butter is such a versatile ingredient in the kitchen that I always keep a jar around in case I feel like making my FLOURLESS ALMOND BUTTER CHOCOLATE CHIP COOKIES, for instance. The almond butter takes the place of both flour and butter in these insanely good cookies. But sometimes I want to get super healthy with my nut butter and I’ll stir some into my OVERNIGHT STEEL CUT OATMEAL. Butter a 9 or 10 inch cast iron skillet. Use peanut butter or any other nut butter you like in place of the almond butter. You can bake these blondies in a 9×9 square pan if you like, the time should be the same. Nuts about nuts? Of course, add chopped walnuts or pecans! Hi Sue, this looks delicious and I would like to make it. Your intro to this recipe says you use a 10″ cast iron pan, but the recipe says a 9″. Which size would be best? I just fixed that to say 9 or 10 inch skillet Kim, you can use either. The blondie will be slightly thicker in the 9 inch, but not a problem. I want to start out by saying that everything you feature, I want to make! That said, I made this last night, although, I did not have almond butter (even though I REALLY wanted that), but used natural peanut butter instead. It was delicious! The whole family enjoyed it! The buttered cast iron gave it the crispy edge I was looking for. So easy and good! Thank you for making me want to cook good food again! Let us know if you try a gluten free version, Judee, it would be good to know! 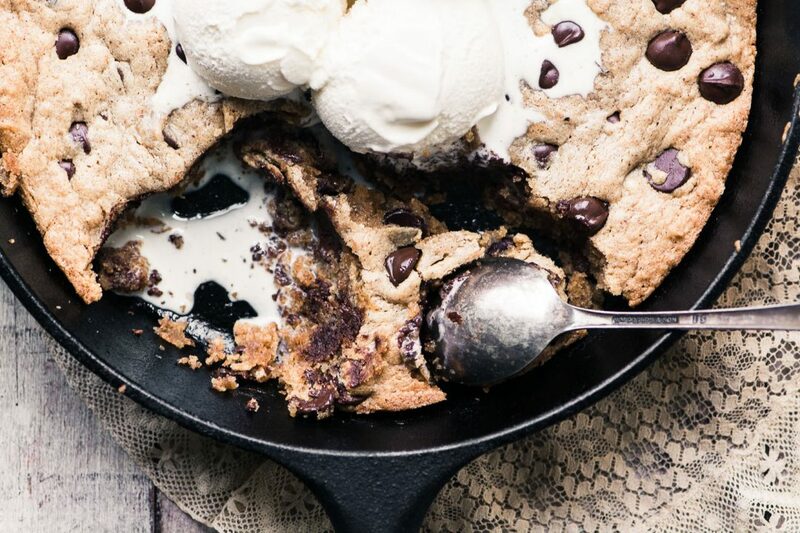 Be still my heart – a skillet blondie is just what I need! This is so delicious. I can’t wait to have this. 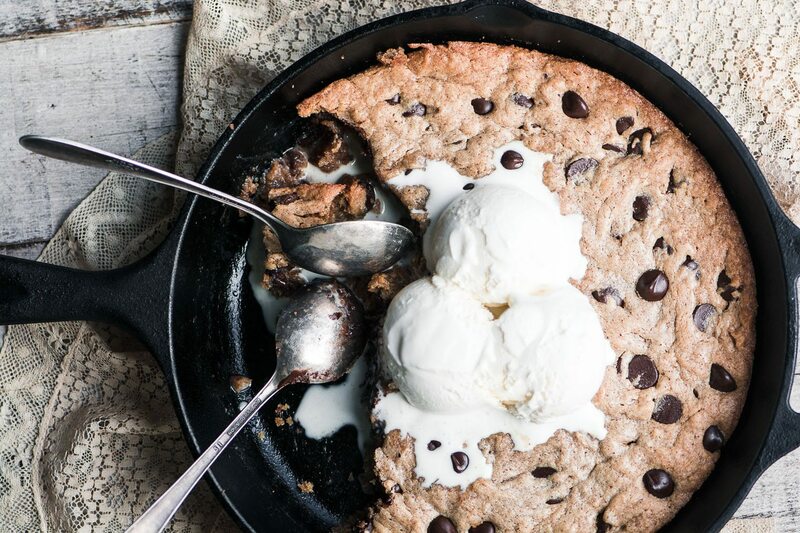 I am ready to follow your instruction and make this delicious butter skillet blondies. Well, that really does look good, and I love the melting ice cream on top of it. I just would love to dig in with a spoon and eat the entire thing, still warm from the oven. I think making it in a skillet was great choice. Nicely done! 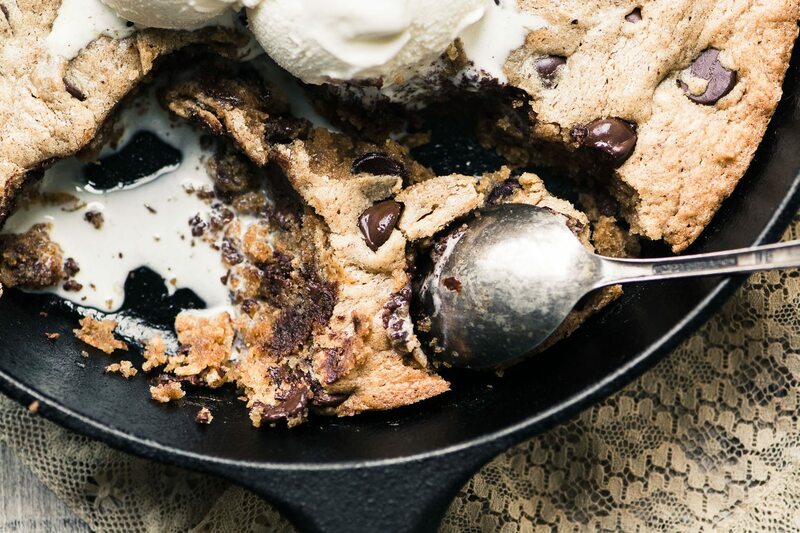 LOVE skillet desserts like this Sue! So fun for company. I just made some almond butter too! Super Bowl dessert! Great composition again ! Pinning for the week end ! Hi Sue! Happy New Year:) This blondie looks so yummy and simple. ~Bijouxs PS Have you had a chance to look at my cookbook I sent you? Wow. Um. Just. Wow. This looks like the most DIVINE Friday night that could ever exist. Need to test out this theory soon! Whoa! I love that you lost your pans, Sue, what a wonderful idea came out of it! I totally get why you didn’t make it through the photo shoot, I can hardly get through writing this comment. I’m not at home but I think I might be running to the kitchen if I was! I should have eaten breakfast before stopping by today, I am drooling and can almost taste these delightful blondies. 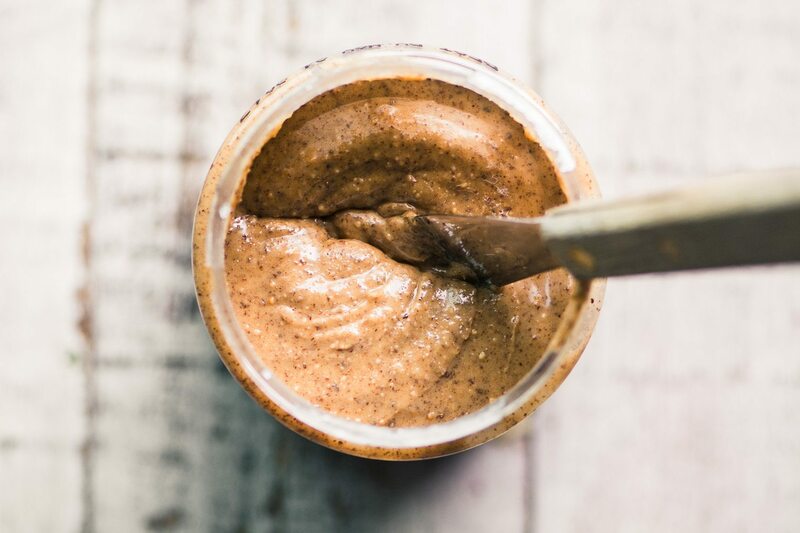 Adding almond butter is brilliant and must be oh-so-good! 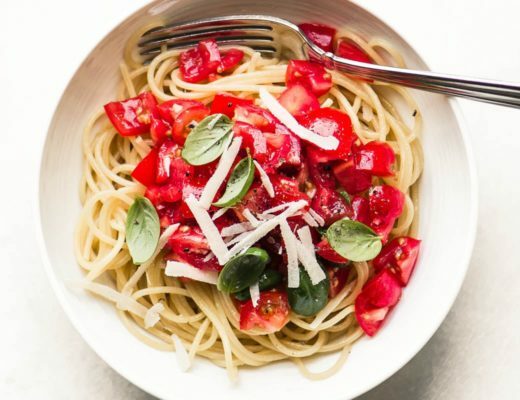 Yummy – sharing and pinning! I probably would end up eating the whole skillet myself, Sue. That almond butter alone is already too good!